The following synopsis comes from Julie Kagawa's website. The cover looks even better in person! I was at my Borders store looking for a book to buy when The Iron Daughter caught my eye. It was sitting there, facing me. It wasn't supposed to be out yet! So, naturally, I immediately grabbed a copy, snapped a picture, and bought it. The cover is really beautiful and I like it more than The Iron King cover. This cover is quite purple and it looks great. Among the thorny borders there are little butterflies! They're too cute! I love this cover. Now. In this sequel, Meghan is stuck in the Winter Court. The poor girl! She has no friends. She can't trust anyone. Ash is acting as though he hates her, and maybe he does. The Iron Daughter takes this series to a new level for me. There are a few new characters and some that were only mentioned before like Ash's family: Queen Mab, and his brothers, Sage and Rowan. And of course, Meghan, Ash, Puck, and Grimalkin! Grim is still Grim. And he's still my favorite. I love that cat. Puck is still sick and in the tree as he was at the end of The Iron King and Meghan has no way to contact him or even find out if he's awakened while she's in the Winter Court. She is worried about him and, poor thing, can't even find out what's happening with him. It could be centuries before he wakes up. Meghan's journey and mission, if you will, in this story tests her in new ways and she even discovers a few things about herself that she didn't know before. It's a great growing experience for her and it's clear throughout that this entire journey will change her forever. It's awesome! I highly recommend The Iron Fey, especially to fans of faeries. 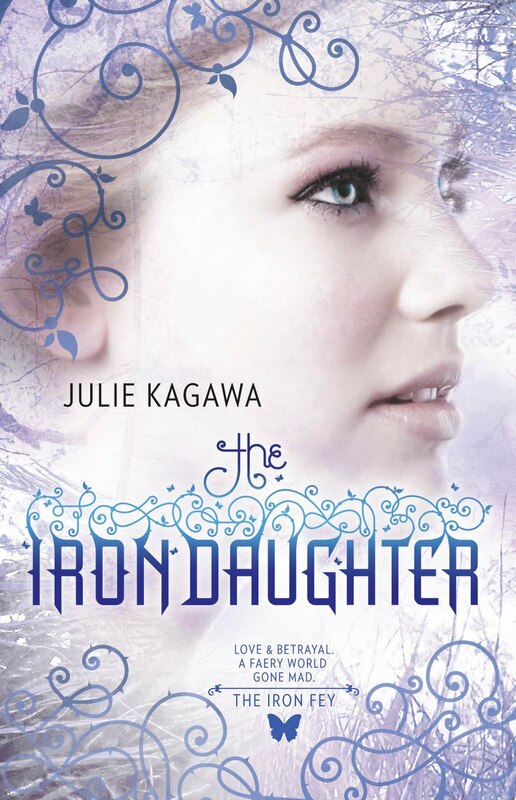 It's a great series and I can't wait for the final installment, The Iron Queen. I can't help but hope that there will be another novella in between!